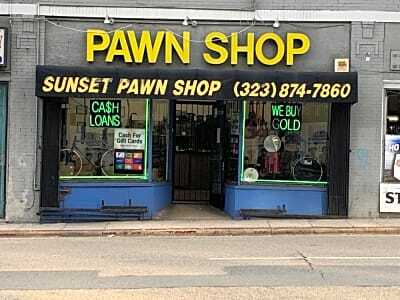 Sunset PAwnbrokers is located Hollywood, just 3 blocks from Mann Chinese Theater. We accept Gold and platinum jewelry, diamonds, musical instruments and gear, high end electronics, luxury watches. We do not accept firearms, cars, household goods, clothing, car audio. We accept Gold and platinum jewelry, diamonds, musical instruments and gear, high end electronics, luxury watches, gold, silver and platinum coins, some collectibles. The trade was very accurate for the offer. They were able to give me a good price .